I’ve lived my entire life in Pennsylvania, which means I’ve been dealing with cold winters since I been a baby. All I know is cold come November and the cold stays under February/March. I love living in the Northeast because if I go on vacation or if it’s a nice day, I appreciate the nice weather so much more. People that live in summer 365 days a year doesn’t feel the same appreciation, but they are definitely not cool with the cold. Many studies have been done that aimed to figure out if weather can affect a person’s mood and to what extent. After reading John M. Grohol, PSY.D’s article on weathers effect on mood, I believe the evidence is irrefutable that weather is a direct cause of mood shifts. It may seem very obvious and typical that nice weather will make the day better. It means more time spent outside, more sunlight, less clothing, etc. It has a deeper effect than making a person happy that it’s sunny out or sad it’s cold. In one study by Hardt and Gerbershagen (what a name), they questioned 3,000 patients of chronic pain on their depression. They’re questionnaire results showed there was no correlation between depression and the time of the year, nor the amount of daily hours of sunshine. This experiment could have been improved upon if the patients talked about how much sunlight they got and if their was a control and experimental group to compare. “Weather Can Change Your Mood.” Psych Central.com. N.p., n.d. Web. 03 Dec. 2014. This entry was posted in Uncategorized on December 5, 2014 by Mike Barrett. 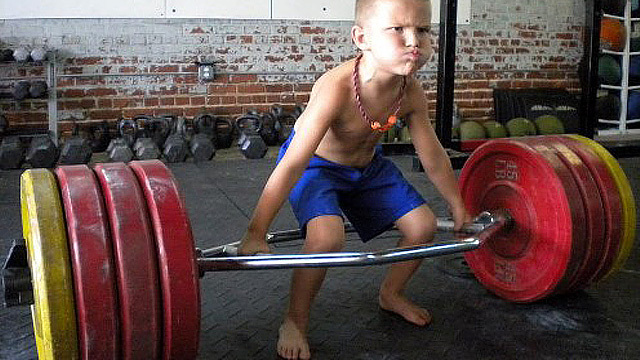 Will Lifting Weights Stunt My Son’s Growth? I am too old to know if lifting weights has stunted my growth. I have been going to the gym for a few years, but would very rarely lift weights when I was young and not fully developed. If I want my future child to become a professional athlete (preferably a boy), will I be helping or hurting his future as an athlete by making him lift weights. I had always heard that lifting weights before being fully developed stunts growth, but figured it was a class wives tale because I am yet to see proof. I chose not to lift weights until I significantly grew up to be safe, but many people lift weights while they are prepubescent. I am friends with multiple guys who have lifted their whole lives and grew up to be full grown men, which does not help the wives tale’s cause. Truthfully, I was not surprised to learn that a study was done that concluded weight lifting does not stunt growth. Dr. Avery Feigenbaum, Leonard Zaichkowsky, and others conducted a study to determine if weight lifting stunts a child’s growth. The experiment entailed 25 kids (17 boys, 8 girls) doing 3 sets of 10 to 15 reps of 5 different workouts twice a week, for eight weeks. There were two groups of kids and their mean ages were 10.8 years (11 boys, 4 girls) and 9.9 years (6 boys, 4 girls). The level of significant change in the subjects was set at p < 0.05. After the two groups participated in the exercises that tested strength, motor performance, flexibility, body composition, resting blood pressure, it was found that the kids benefitted in the short-term from the strength workouts. The kids that did strength training had increased vertical jumps by 13.8%, while the control group that did no strength training the entire time saw an increase in vertical jumping ability by 7.7%. The gains in strength did not translate to body motor performance and flexibility. Since no injuries occurred during the training, even while the majority of the kids were playing sports outside of the experiment, the conditioning was positive for the well-being of the kids. Will White People and Athleticism Ever Get Along? If you have not heard the stereotype that white men can’t jump, you must be living under a rock. If you turned on a random NBA, NFL, MLB, or Track and Field competition, you will likely notice there are way more black men and women than white. What could cause this correlation? Since correlation does not equal causation, there might not be a biological difference between white people and other races that leads to the extreme ratio of black to white athletes, but there is a causing factor. The experiment tested 40 men and 40 women on four athletic categories. Black and white participants were tested on their knowledge of golf through a questionnaire then all played 10 holes of golf and were later asked to rate their performance. The results of the experiment were fairly consistent with the hypothesis. The black participants played slightly better than the white participants on the golf course, which proves there was no advantage nor disadvantage in golf– a game that is professionally dominated by white athletes. In the post-golf diagnostic questionnaire, white and black participants believed the test was biased towards white peoples’ athletic strengths. When the black participants were told they were being observed on their sports intelligence they performed significantly worse than when they were told the test was framed as a diagnostic for natural athletic ability, which is a stereotype of black athletes. Also, white participants played worse golf when they believed the frame of the test was on natural athletic ability; many did not think the test was fair. These results show that when people were threatened with a negative stereotype, anxiety affected performance most of the time. Therefore, when an athletes self-worth is threatened by a negative stereotype, they will be affected and perform worse, thus confirming the stereotype. Over the past 50 years, the number of cigarette smokers has steadily decreased. This is due to a number of factors such as awareness of the dangers of cigarettes, the literal and social price of a cigarette addiction, and cigarettes are not viewed as “cool” by the majority of young people. This is good for the overall wellness of our country and the planet. However, hookah has recently replaced as the go to choice of “smoke” among many people. I used the word smoke in quotes because hookah does not always involve actual smoke like cigarettes. 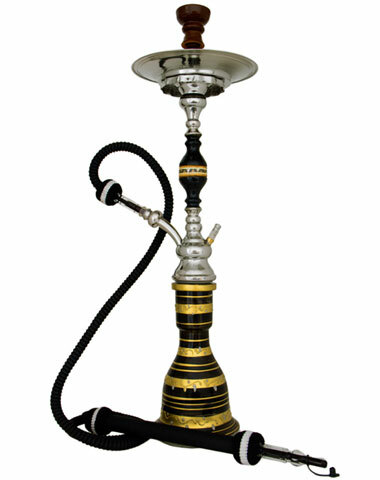 Hookah pipes are used by heating up flavored tobacco (Shisha), then pulling the smoke through a hose. A hookah pipe is typically large and not easy to move, which is the reason people use hookah pens. Hookah pens produce flavored water vapor as an alternative to smoking cigarettes, but they are not necessarily healthier than cigarettes. There is a misconception that hookah pens are a safe alternative to cigarettes because they don’t smell like cigarettes and its health risks are not widely known. What people do not know about Hookah smoke is that when they smoke hookah they typically inhale more smoke than cigarettes as the volume of tobacco is increased significantly. In Dr. Michael Weitzman’s study he claims cigarette use is down 33% in the past decade, while hookah and alternative tobacco use has increased 123%. Hookah and Shisha companies have done a good job of creating an image of a healthier smoking alternative, but both cigarettes and hookah have many carcinogens. Proving the causal relationship between cigarette smoke and cancer, disease, or death is a nearly impossible task; proving a direct relationship between smoking hookah and cancer is equally challenging. However, hookah smokers have been linked to lung cancer, mouth cancer, heart disease, and smoking dependance. There is no reason to assume smoking hookah is beneficial in any way as a substitute for cigarettes since both have dangerous amounts of tar, carbon monoxide, and heavy metal. Furthermore, the rising popularity of Hookah bars does not help the claim it’s a safe alternative. Since smoking hookah has become a social thing, the risk of spreading infectious diseases has risen. You never seen a bar for people to pass around cigarettes. There is no way to say which one is worse than the other, for now. Palermo, By Elizabeth. “Hookah Smoking: Teen Trend, or Cigarettes of the Century?” LiveScience. TechMedia Network, 11 July 2014. Web. 05 Dec. 2014. “Quit Smoking.” Hookah Smoking: Is It Safer than Cigarettes? N.p., n.d. Web. 04 Dec. 2014. The post-workout nutrition market is enormous and seems to only be growing. Millions of dollars are spent on powders, shakes, and snacks that are to be taken within 30 minutes to 2 hours after a workout. Nutrition is vital to obtaining results from lifting weights, but the timing may not be as relevant to results as the consensus says. During a workout, especially one which involves heavy weight lifting and resistance strength training, the body’s reserve of Glycogen and amino acids are depleted. It is one of the main fuels for muscle contraction and it shows itself through muscle fatigue. In a report in the Journal of theInternational Society of Sports Nutrition by Alan Albert Aragon and Brad Jon Schoenfeld, the importance of the post-workout nutrition window is shown to be minimal. In this essay, they analyze results from seven published experiments on the results of post-workout meals and supplements on a variety of men and women of different ages. There is no definitive evidence that shows a causal link between consuming protein and/or carbohydrates in the two-hour window and desired results in somebody’s appearance, athleticism, strength, and physique. Interestingly, the essay plays with the idea that pre-workout nutrition is more important than what is put in the body after a workout. When a man or woman exercises without proper nutrition or no nutrition at all, muscle protein breakdown increases even after the workout is finished. It’s amazing to think that I could have wasted dozens of workouts in my life because I did not eat before. Even though a workout promotes muscle synthesis and strengthening, a person who had not eaten before the workout would not get the benefits of the muscle synthesis before the proteins would continue to deplete. It is estimated that the anabolic results of a meal last between 5-6 hours– more than enough time to get a workout in. This secondhand account of the effectiveness of that highly recommended protein shake right after a workout does not eliminate enough factors to disprove the causal relationship between the post-workout supplement and results. It also doesn’t prove that the window after a workout to refuel one’s amino acids and glycogen is as important as pre-workout nutrition. Furthermore, the experiments reviewed in the essay could suffer from the affect of a confounding variable as well as the File Drawer problem. It would be very easy to not publish an unwanted result because of the length of time of the observation/experiments. Aragon, Alan Albert, and Brad Jon Schoenfeld. “Nutrient Timing Revisited: Is There a Post-exercise Anabolic Window?” Journal of the International Society of Sports Nutrition 10.1 (2013): 5. Web. Without realizing it, our bodies react to changes in our surrounding. An obvious example is if you had to sit in a room with a very annoying song, played at a high pitch and excessively loud. You would naturally become very irritated and mood would worsen. The color of the walls in a room is a huge factor on sub-conscience mood changes. The team of Wenjuan Lin, Jianlin Ji, Hua Chen, and Chenyu Ye, with the financial support of the Youth Foundation of Zhongshan Hospital, set out to determine the optimum color for a psychological counseling room. To do this, they conducted an initial experiment that had 42 knowing participants were gauged on what color they preferred. The colors were created using the mathematical equation of the CIELAB color and lighting formula, which denoted a numerical value to each color based on its lightness, greenness vs redness, and yellowness vs blueness. This seems to be the most effective way in ensuring consistency in colors and finding a pattern of causation between specific colors and lighting. Furthermore, the participants filled out the Affective Appraisal Scale, which asked them to quantify emotions the colors evoked. Participants were told there were no right nor wrong answers before filling out the Affective Appraisal Scale. I am impressed by the level of attention to detail that the team of experimenters demonstrated by their report. 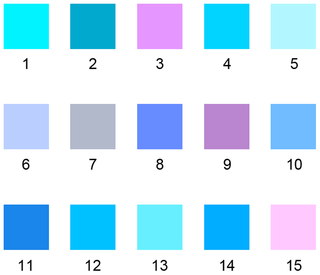 Using a software, they were able to find 15 variations of the most pleasant color, for experiment 2. The response surface method (RSM) combined experimental strategies, mathematical methods, and inferences based on statistics to create these colors using the CIELAB color creator. For unknown reasons, only 33 people participated in the second part of the experiment. Participants were placed in a room and the colors were projected on a projector screen 2.0 meters away. This experiment begins to get even more complex when the experimenters calculated the signal-to-noise ratio of the noise in the room. An optimal ratio was measured by Adeq Precision. A good ratio is greater than 4. The room used for the experiment had a ratio of 9.941. This is an example of the lengths the experimenters went to in order to cancel out the possibility of a confounding factor influencing the participants and then the results. This is the 3-D plot of the total desirability of the colors. Using the numerical labels found to be the most desirable in the graph above, this shade of blue was calculated to be the most desirable color. This shade of blue was determined to be the most desirable color. This experiment effectively rules out confounding variables and chance, which is why it proves a causal relationship between color and desirability and mood. The researchers focused on the most desirable color for a psychological counseling room because that is where a person is the most emotionally vulnerable and can be easily influenced. However, while the experiment found a result through precision, I think it can be improved by increasing the sample size. It wouldn’t be possible to conduct a double blind placebo experiment because subjects were forced to quantify they’re emotions and reactions to colors. As blue is a color that is normally associated with tranquility and general calmness, I am not surprised by the results at all. 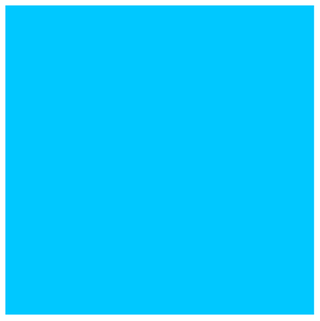 Although the experiment was designed to find the most desirable color for a counseling room, I believe blue can be used to increase mood in many other things that are not limited to the color of walls (clothes, shoes, cars, technology, etc.). Should Doctors Prescribe Medical Marijuana for Children? If yes, should they also supply Pizza? Earlier this year, Pennsylvania Governor Tom Corbett sponsored a research mission to determine whether medical marijuana could help children that are plagued by symptoms of serious health problems, such as the most severe epilepsy. There are doctors that are skeptical of the effectiveness of cannabis substances on those who suffer from epilepsy because there is limited data to support its use (Gilbert). Although, many parents of ill children have become proponents of the use of medical marijuana extract, known as Cannibidiol, or CBD, oil. It is important to keep in mind that the parents of sick kids are not advocating for the traditional use of marijuana. Marijuana has other properties besides the THC, the psychoactive compound. The Cannibidiol oil, without having the psychoactive effect that creates a high, has positive medicinal properties. The future for CBD oil is promising since all of its medicinal benefits have not been uncovered yet. A specific strain of marijuana has garnered a lot of attention for its potency of CBD. The strain’s name is “Charlotte’s Web” and it’s named after Charlotte Figi, 6, a young girl from Colorado who suffers from Dravet syndrome. Dravet syndrome is a crippling pediatric epilepsy that leaves Charlotte unable to eat, talk, or walk (Allen). This is a nightmare come true for the Figi family. Charlotte’s mom, Paige has been very public about Charlotte’s medical marijuana use because they have seen fantastic results. After having 300 grand mal seizures in the previous week, Charlotte miraculously went seven days without one seizure after beginning the medical marijuana treatment. After 8 months of cannabis treatment, Charlotte is showing 99% seizure reduction on top of eating and drinking on her own (“Should Marijuana Ever Be Used to Treat Children and Adolescents?”). Charlotte is a remarkable example of a child whose life was restored due to medical marijuana. Vivian Wilson, a 3-year old with severe epilepsy, has seen a very similar level of success from the medical marijuana treatments, like Charlotte (Swartz). There is no denying the effectiveness the CBD has on some children, but is prescribing cannabis oil to minors immoral? I believe that it is no legislature’s place to deny a child the joys of life because it comes from a traditionally illegal substance. Since there is no psychoactive effect on the child, the CBD oil cannot be abused for recreational use. I’m sure as more states take on a progressive mindset and legalize medical marijuana (to minors, as well) then the snowball effect will occur and it won’t be long before the majority of U.S. states are allowing victims of awful diseases to get the treatment they deserve. Allen, Greg. “Florida Bill Would Allow Medical Marijuana For Child Seizures.” NPR. NPR, 16 Jan. 2014. Web. 24 Oct. 2014. Gilbert, Scott. “The Medical Minute: Medical Marijuana Extract for Epilepsy in Children.” PennStateNews. Pennsylvania State University, 4 June 2014. Web. 24 Oct. 2014. “Should Marijuana Ever Be Used to Treat Children and Adolescents?”Medical Marijuana– Pros and Cons. ProCon.org, 21 Feb. 2014. Web. 24 Oct. 2014. Swartz, Aimee. “Medical Marijuana for Kids?” The Scientist. N.p., 17 July 2013. Web. 24 Oct. 2014. This entry was posted in Uncategorized on October 24, 2014 by Mike Barrett. There are so many class wives tales that turn out to be untrue. There is one, however, that demanded enough scientific experimentation and analysis to be accepted as truth. If your parents or grandparents have told you that laughter is the best medicine when you weren’t feeling well, your parents are probably like mine. Like most people, I used to shrug off the notion that laughing was actually going to heal me when I was sick. I’m very excited to say that I was so wrong. Laughter has significant physiological effects on the body that are therapeutic and aid in the body’s recovery. You laugh when you find something to be funny. Of course, by laughing, a person combats stress in their life. Laughter creates a cocktail of benefits for the body. Laughing increases oxygen intake, stimulates many organs such as the heart, lungs, and muscles, and causes the brain to release endorphins. The stimulation of organs cause by laughter increases circulation and helps muscles relax, which helps calm physical symptoms of stress. Laughter is complimentary to positive thoughts, which release neuropeptides that boost the immune system (“Stress Relief from Laughter? It’s No Joke.”). In contrast, hormones released by stress have dire consequences on the body: suppressed immune system, artery obstruction, and raised blood pressure. There are cells that have the sole purpose of finding and destroying viruses and tumors in the body. During laughter, the number of these cells (T-cells and B-cells) dramatically increases. Nothing is better than laughing. 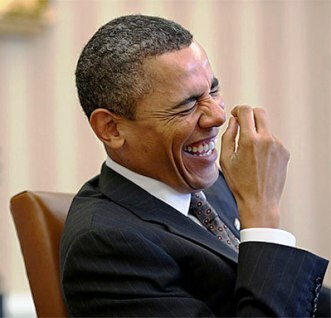 Do you have laugh so hard that you feel like your abs are sore as if you just did sit-ups? Yea, me too. On top of the creation of stress-suppressors, laughing works muscles like any workout. In “How Laughter Works”, Marshall Brain relays that laughing 100 times is equivalent to spending 10 minutes on the rowing machine or riding an exercise bike for 15 minutes. The muscles that are worked include, but are not limited to, the diaphragm/abdominal, lungs, legs, back, and facial muscles (Brian). I just got off the phone with my Mom, after apologizing for never taking her seriously when she preached the benefits of a good laugh. Turns out she knew what she was talking about. My only regret is this blog post is not funnier, so I could have spread some healing to my audience. Brain, Marshall. “How Laughter Works.” HowStuffWorks. HowStuffWorks.com, 1 Apr. 2000. Web. 24 Oct. 2014. “Stress Relief from Laughter? It’s No Joke.” Healthy Lifestyle. Mayo Clinic, 23 July 2013. Web. 21 Oct. 2014. 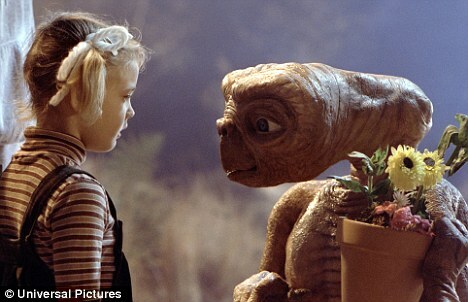 I Want to See an Alien in My Life… What is the Likelihood of an Alien Encounter? They are hilariously and often terrifyingly depicted in movies, TV shows, books, etc. To find and meet them would be to shatter all previous conceptions of human life, religion, space, technology, and societal structure. They tried to abduct me from my bedroom when I was nine years old. 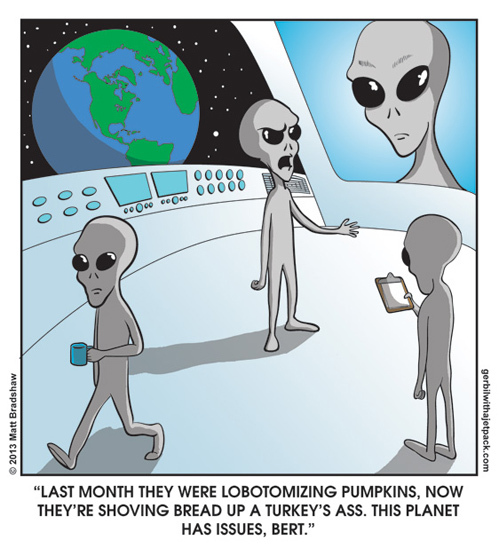 Of course, I’m alluding to aliens! (Disclaimer: I was never abducted by alien lifeforms when I was nine, nor have I ever been the victim of an alien species extraction of a human being. Since the dawn of mankind, there has always been a fascination with extraterrestrial species and they’re involvement in human evolution. Today, we will explore the likelihood of a real alien-human encounter. Aliens are portrayed in various manners in our popular culture, ranging from evil (Alien) to innocent, friendly, and loving (E.T.). Realistically, these portrayals of alien lifeforms are most likely wildly inaccurate. To find alien lifeforms on a distant planet is not the same as finding intelligent life on another planet. This raises other questions about the age of the universe, the rate of time-space evolution, which is the consistency of time throughout the universe. Furthermore, to assume all life becomes intelligent with evolution over time is unlikely. There is a greater chance that evolution facilitates random changes in genomes. Very basic life has numerous potential future forms, one being intelligence as humans have come to know. Earth was not ideal for intelligent life to form as it took 2.5 billion years to go from single cell organisms to multi-cell organisms– the foundation for intelligent life (Hawking). I would prefer to encounter intelligent life, therefore this blog will be devoted to the probability of an encounter with an extraterrestrial civilization. To nobody’s surprise, calculating the probability of extraterrestrial life is extremely daunting and has probably caused countless headaches since scientists began calculating. Life is unpredictable. Catastrophes occur that wipe out entire species (E.g. Dinosaurs) and planets may not support multi-cellular organisms. Therefore, there is a lot of room for error in the calculations. In 1961, Dr. Frank Drake created a mathematical equation that estimates the number of technological civilizations that could exist in the galaxy. While there isn’t a solution to the equation, the equation is useful for estimation because it encompasses the variables that go into the development of life. It is widely agreed upon that the R* variable is 4 stars/year, which is the most certain variable. The least certain variable is L, the length of time civilizations remain detectable. This time to could range from 10 to 10 million years. Variable ne is estimated to be .25 because our solar system is used as a model. Therefore, by plugging in best estimates for variables, a Drake Equation calculation could be N = 4 x 0.5 x 0.25 x 0.2 x 0.2 x 0.2 x 3,000,000. After multiplying, the product N is 12,000, meaning there are 12,000 civilizations in the galaxy. Drake predicted there were 10,000 alien civilizations in our galaxy (Harris). However, if there were actually 10,000-12,000 alien civilizations, there should have been an interaction by now; this is known as the Fermi Paradox. Recent astronomers have become more conservative with their estimates, especially for the length of detectable time of a civilization. After tweaking the numbers, astronomers now believe there to be 3 to 4 civilizations with intelligent life in our galaxy (Harris). However, I will remain optimistic as there are billions of galaxies in the universe. Until we develop the technology to explore deep space, we play the waiting game, hoping to hear a glimpse of intelligence from outer space. “The Drake Equation.” SETI Institute. SETI Institute, n.d. Web. 22 Oct. 2014. Harris, William. “What Are the Odds There Is Life in Outer Space?”HowStuffWorks. HowStuffWorks.com, 11 Aug. 2008. Web. 23 Oct. 2014. Hawking, Stephen. “Life in the Universe.” Hawking.org.uk. Stephen Hawking, n.d. Web. 24 Oct. 2014. Will my cell phone give me cancer? We live in a society where people can’t survive without their cell phone for more than a day. The relationship between a person and their cell phone rivals the great relationships of Romeo and Juliet, Cookies and Cream, Jay-Z and Beyonce, and Adrian Peterson and his kids. With the growing usage of cell phones, this topic/issue/concern has gained much publicity recently and rightfully so. It should come as no surprise that cell phone ownership is at an all time high. As of January of this year, 90% of American adults own a cell phone and 58% of American adults own a smartphone (“Mobile Technology Fact Sheet”). Of the people that own cell phones, many of them constantly check their phones for their new messages, calls, etc. at all times of the day. If they own a smart phone, then they most likely check their phone many times a day for Twitter notifications/updates, their Instagram feed, emails, YouTube, and many other applications that require cellular connection. While it may seem inconvenient to those reading, a world without cellular phones could be a safer world. Imagine if every time a cell phone is brought to a persons ear or lays next to a person in their sleep, the cell phone slowly kills the user. I am not writing this to dissuade anybody from using their cell phone, however, in the tradition of science, all possibilities must be explored before a conclusion can be reached. The reason behind the fear that cell phones lead to cancer is cell phones emit radio waves that human tissue can absorb. Over time, the number of cell phone calls has drastically increased, as well as the length of each call. Cell phones emit radio-frequency energy, better known as radio waves. Radio Waves are one of two forms of electromagnetic radiation. Electromagnetic radiation has two forms: ionizing and non-ionizing. Ionizing radiation exposure has been proven to lead to cancer, whereas non-ionizing radiation (radar, microwaves, cell phones) has not been proven to lead to the creation of cancerous cells. However, a recent study demonstrated that when a person used a cell phone for 50 minutes, brain tissue on the side of the head that the cell phone was used began to metabolize glucose faster than the brain tissue from the other side of the head. Health consequences of an increased glucose (sugar) metabolism in the brain are unclear until further research is conducted. Lastly, in summation, the following passage is published on the National Cancer Institutes website: “Studies thus far have not shown a consistent link between cell phone use and cancers of the brain, nerves, or other tissues of the head or neck. More research is needed because cell phone technology and how people use cell phones have been changing rapidly” (“Cell Phones and Cancer Risk”). It seems that the verdict on cell phones is still unclear. Instead of calling your parents to tell them to ditch their phones, try writing a letter. You never know. “Cell Phones and Cancer Risk.” National Cancer Institute. National Cancer Institute, 24 June 2014. Web. 21 Oct. 2014. “Mobile Technology Fact Sheet.” Pew Research Internet Project. Pew Research Center, n.d. Web. 23 Oct. 2014. What is the Taste of Water? To many people, explaining the taste of water is nearly impossible. It’s the foundation of human life, takes up 71% of the Earth’s surface, and makes up 50-65% of the human body… and I couldn’t even describe its taste (Helmenstein). While I do not claim to be connoisseur of water, I have had my fair share of aqua. The debate over the taste of water spans thousands of years. The esteemed and revered philosopher Aristotle once wrote about water, “The natural substance water per se tends to be tasteless.” Aristotle may have jumped to the conclusion that water has no taste and is merely a “vehicle of flavor” (Engber). The unique and extraordinary feature of water is that after the water is in its purest state, two hydrogen molecules paired with one oxygen molecule, no water is the exact same. The reason no two waters can be identical is because water, also known as H20, is the universal solvent. As the universal solvent, water is able to dissolve at least a little bit of anything it comes in contact with. Therefore, the closer to the source the water is, the more pure it will be. This brings us back to the question– what is the taste of water? Taste may be the most difficult of the five senses to pinpoint because a flavor cannot be quantitated; flavor is a sensation that is the sum of smell and taste. The flavor that everyday drinking water produces can be attributed to the minerals and elements that water absorbs as the universal solvent. A typical, commendable drinking water will typically have traces of Potassium, magnesium, calcium and even small amounts of sodium give water its fullness potassium, calcium, magnesium, silica and even some sodium in order to give water a full flavor that is neither dull nor flat. “Good” water cannot be a water that is totally distilled of any impurities. I placed good in quotations because preferences in water flavor vary from region to region and person to person. If distilled water tasted the best, it would be the most commercially sold water (Pomento). Additionally, recent research suggests that pure H20 may produce a flavor that cannot be created by lingering minerals in water. At the beginning of the current century, a team at the University of Utah discovered that the taste cells in mammals create proteins called aquaporins, which serve to channel water through cell membranes. The aquaporins provide a possible way for water to stimulate taste cells directly (Engber). Currently, the taste buds that are designated to be stimulated by pure water have not been found. It will take further investigation of all areas of the tongue to precisely identify the region of taste buds that taste water. Until then, stay hydrated. Engber, Daniel. “Ask Anything: What Does Water Taste Like?” Popular Science (2014): n. pag. Popular Science. Web. 24 Oct. 2014. Helmenstein, Anne Marie, Ph.D. “How Much of The Human Body Is Water?” About Education. N.p., 18 Oct. 2014. Web. 22 Oct. 2014. Pomento, Joe. “Taste of Water.” Editorial. Aqueduct Magazine CubedDec. 2001: n. pag. A Celebration of Water in Public Spaces. Aqueduct Magazine Cubed. Web. 24 Oct. 2014. The famous french poet Jean Cocteau once said, “Mirrors should think longer before they reflect.” While this quote is clever and somewhat funny, it makes me think of mirrors in a different light. Mirrors reflect light like it’s their job– because it is their job. However, we never reflect on mirrors. How many times to do you look at a mirror each day? For most people, mirrors fly under the radar as one of the most utilized tools. I can’t be the only person who has wondered what color a mirror is, and for anybody else who has wondered the same, I have your answer. Mirrors typically are depicted in paintings, movies, and books as silver, however, and not to my surprise, a mirror is whatever color is being reflected. This sounds like an obvious answer to the question, but to create a mirror that reflects light, a lot of precision and calculations are needed. A perfect mirror reflects all of the light it receives in the same, singular direction, creating the reflection. This phenomenon is known as Specular Reflection and it creates the reflection of whatever is in front of the mirror. Additionally, the misconception that mirrors are silver isn’t entirely wrong. Mirrors are typically made out of materials that are silver such as the metal silver, aluminum (otherwise known as aluminium if you’re from across the pond), or gold. A perfect mirror is white, however, the mirrors we use everyday typically are not perfect mirrors. White light is the accumulation of all of the colors of the visible light spectrum. When an object is placed in front of a mirror, all of the light is reflected, mostly. The difference between a white object and a mirror is that a mirror reflects the light in a predictable direction, whereas a piece of computer paper will scatter the light. The majority of mirrors that are produced have a green tint to them, giving the reflection a slightly green tint. The green tint in the reflection is created because the mirror’s material does not absorb green light wave lengths as efficiently as the wave lengths of the rest of the color spectrum visible to the human eye. If you would like to conduct an experiment of your own, align to mirrors so that they face each other and gradually increase the distance between the mirrors; the reflections should become greener as the distance between mirrors increases.